Michael Jackson is giving us a rare insight into his weird and wonderful world by auctioning off over 2,000 of his personal belongings. The star is holding a five-day auction at the Beverley Hills Hilton in Los Angeles where he will sell off furniture and art from his Californian home. 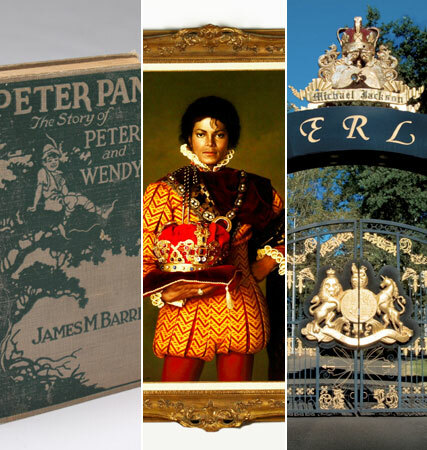 Among the many items up for sale is the iconic bejewelled glove worn in his Billie Jean video, a signed portrait of Jacko by Norman Oak, a 1911 edition of Peter Pan and the OTT gates from his Neverland Ranch. The auction is so huge that a six-volume book has been printed listing all the lots and the US TV channel the Auction Network will be broadcasting the auction live on national television. Despite rumours that the superstar is almost bankrupt, Darren Julien, an LA-based auctioneer of celebrity merchandise who is in charge of the sale, says it is not a forced auction.